This is the first step in looking at the day’s weather. 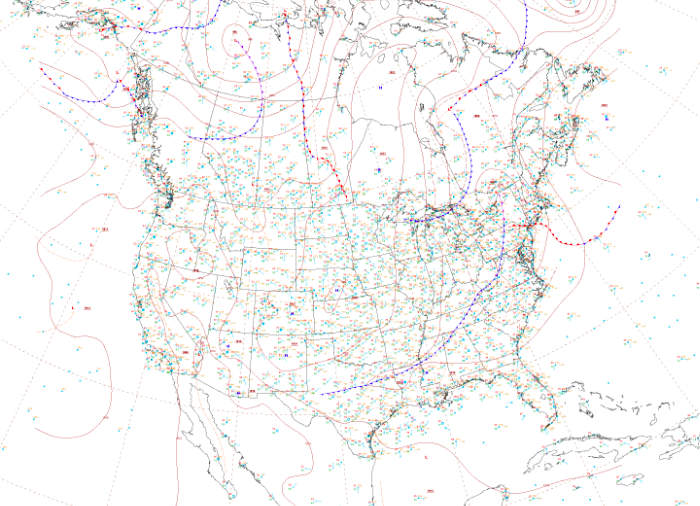 What I am interested in here is just an overview of where the surface weather is today. The map has a one-click magnification, so you can look more closely at areas, station symbols and so forth. In the magnified view, it is particularly useful for getting a picture of surface wind directions, temp/dew point spreads and dry lines.